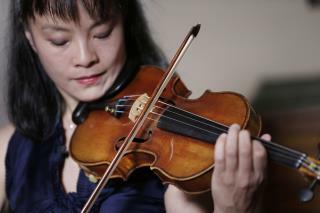 (Newser) – Stradivarius instruments—violins, violas, and cellos made in the 17th and 18th centuries by Antonio Stradivari of Cremona, Italy—are known for their unmatched tones. It's for this reason that the instruments are passed down and painstakingly restored over generations. Even so, their tones begin to change as the instruments weaken with age, and eventually they must "go to sleep," as Fausto Cacciatori puts it. The curator of Cremona's Museo del Violino, however, wants to make sure that future generations don't lose out. He's working to preserve the sounds of two violins, a viola, and a cello. It's actually a city affair. As the New York Times reports, Cremona's mayor has urged residents to avoid unnecessary sounds and police have closed the cobblestone streets around the museum for five weeks as work progresses. Okay we're gonna be recording the finest violins in history this week, but all air traffic has to stop into and out of JFK so the recording we're doing on the runway won't be disturbed. Make it happen.